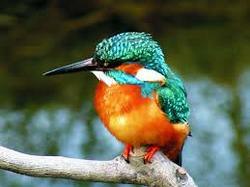 Kingfisher began life as Woolworth Holdings back in 1982, as a parent company for Woolworths, B&Q and Woolworths Properties. The group acquired the electricals chain Comet and health retailer Superdrug in the 1980’s before changing its name to Kingfisher in 1989. The group has rapidly expanded, acquiring retailers all over the world, but in 1999 its plan to buy supermarket group Asda was thwarted by US giant Wal-Mart. In 2003 the group demerged its electrical & furniture arms to form Kesa Electricals. Kingfisher reports full year adjusted* pre-tax profits up 4.1% to £744 million. This week I am going to take a bit of a risk and look forward and try to recommend a stock that I think will do well on results day. I will use the DividendMax calendar product (still in beta so for internal use only) to highlight forthcoming results and then use the other tools to help us select a stock for a trade. Could be risky, but let’s have a go.